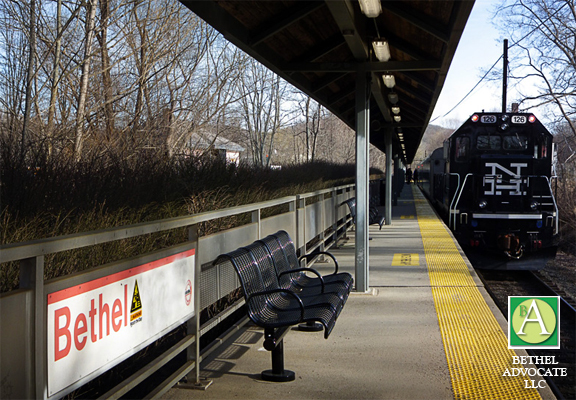 The Bethel Metro North Train Station expansion project is finished with the exception of the parking kiosk and certain signage. The kiosk is in and awaiting the concrete pad that is needed before installation can take place. The weather has not cooperated thus far. It is for this reason that the decision was made to allow daily parking to be free of charge until the kiosk is installed. Daily parking is located to the left of the lot facing the station. The spots are numbered and signs have been installed in anticipation of the kiosk. Please note that once the parking kiosk is installed ( it will be to the left of the building) you will be responsible for paying for your spot. The cost will remain the same at $.25 per hour. Enforcement will begin at that point. We are excited to announce that there will also be a parking app for your smartphone which will allow you to manage your parking payment. The annual permits are currently available, the cost is $250.00 Please call or contact Eileen Jelinski who is your contact person for permits. 203-794-8506, or by email at jelinskie@bethel-ct.gov.